Publishing market has seen the rise of young writers with a large number of copies of their books being printed or appearance in the list of best-sellers. However, this is the tip of the iceberg, coming from popular literature’s writers. On the contrary, there are still young writers going against the crowd to produce valuable and remarkable works for readers. It is not exaggerating to say that young writers who follow popular literature are considered as pot of gold for some publishers. For their attractiveness, tens thousands of copies of each title have been printed. On the contrary, royalties received by those writers are proportional with the number of books printed. Average royalties for writers is 10 percent but for truly hot writers, royalties is up to 12-15 percent. In recent years, publishing industry has been facing several difficulties as when information technology strongly develops, people read printed book less. Therefore, it is understandable why publishers tend to choose book genres that fit readers’ taste and bring high revenues amid this situation. Meanwhile, writers who follow artistic literature are struggling in publishing their books as well as approaching readers. In fact, there are a few publishers willing to publish their books though the number of copies is merely around 1,000 to 2,000. Although their books are not in favour of mass readers, they are highly appreciated by experts for their efforts in investing and renewing their writings. With experiences as editor for more than ten years, writer Do Tien Thuy said that youngsters, especially 8X generation, have started to be fully aware of artistry in their writings. They are not satisfied with normal writing style when reflecting life but have started to use concepts like spirituality, dream method, fantasy and even fiction. There are some writers who have created value in their writings, including Le Vu Truong Giang, Nguyen Thi Kim Hoa, Nguy Nguyen, Dinh Phuong, Kieu Duy Khanh, Cao Nguyet Nguyen, Bao Thuong, Tran Thi Tu Ngoc and Nguyet Chu. 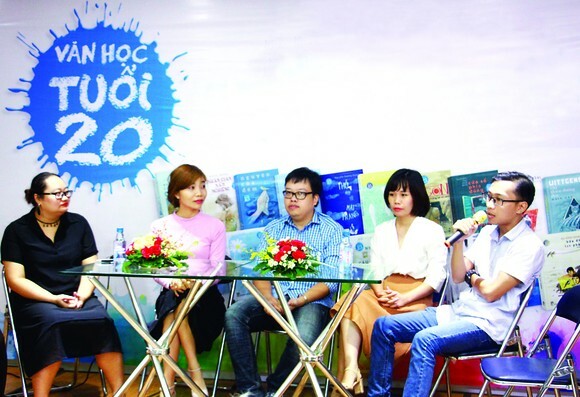 In the sixth ‘Van hoc tuoi 20’ (Literature at your 20s) competition, several young writers mostly of the 9X generation have been presented to readers. The competition has seen their creativeness as well as their engagement to the hard journey of writing. Besides reflecting real life, many writers have exploited other new topics, even those which are the fears of many writers. Born in 1997, Pham Thuy Quynh is the youngest writer in the writing competition but she has made many people surprised when she wrote about the life of Le Long Dinh, the last king of the Early Le Dynasty. Earlier, Pham Thuy Quynh also released two short story collections, consisting of ‘Nhen, Trinh va thien thu’ (Spider, Trinh and eternity) and Soi chi do ket noi (The red thread) by which she has made differences with others for using historical and folklore materials. The novel ‘Nhan gian nam nghieng’ (The world lying on one side), which is also written about historical topic, has showed vivid and broad imagination of author Dang Hang who is currently a student at National Economics University. Using time travel concept, Dang Hang leads readers back to the time reigned by King Tran Nhan Tong by recreating the space, context and culture at that time. In addition, Nguyen Thi Kim Hoa with her ceaseless effort and seriousness in writing brought ‘Cua so phia dong’ (East window), a novel about post-war topic. 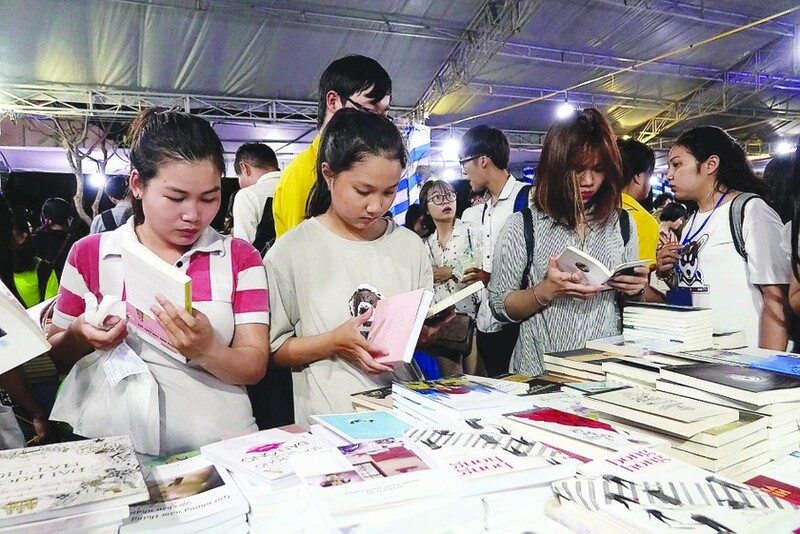 Besides ‘Van hoc tuoi 20’ writing competition, there are many young writers in the literature circle who have the guts to go against the crowd and resist the temptation of money or having tens of thousands of copies of their books printed. Thai Cuong, one of 9X generation’s writers, chose novel since his debut. So far, he has released two novels ‘Nhung manh mat nhin’ and ‘Gam lam khong thuc’ (Unreal shade of blue) which have left readers with strong impression about his creativeness. His first novel is displayed as a dictionary while the second is written by story within a story technique. Other prominent writers include Van Thanh Le, Huynh Trong Khang, Truong Tuan and Tieu Quyen. Although young writers are highly appreciated by experts and striving to master literature circle, literary life, especially writing activity of young writers, seems to be rather quiet. There are just a few writers who dare to spend their youth on writing only. Some young writers seem to be satisfied with their success and slowdown. Partly, it is because they still have to make a living. In addition, the role of Vietnam Writers' Association and local writers’ associations is no longer attractive in the eyes of young writers. Writer Do Tien Thuy said that young writers of the 8X and 9X generations lack of concern with the present situation and the most important element: life experiences. Their writings are clean and neat but they are lacking of the soul of life. On the contrary, some writings are clumsy and naïve but they are still attractive thanks to the heart and the soul that writers put into them. According to him, there is no other way to improve life experiences but to experience the hardships of life. This is also the idea of writer Nguyen Quang Sang when he was alive.